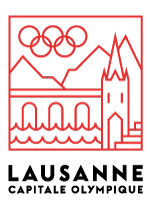 Our association (ALGT = association lausannoise des guides touristiques) was created in July 2007 thanks to a common agreement between Lausanne-tourism and local guides. Visitors staying in Lausanne or on a short break can thus enjoy the services of experienced multilingual guides who will take them on a variety of excursions. Our association is also directed at professionals working in the tourism industry : from journalists, tour operators, car drivers to people organising events who will promote Lausanne all over the world. Our association is acknowledged as such in the Swiss civil code. We have presently 30 members and we are always happy to receive the support of donors and sponsors.